Although present-day Islanders pride themselves on a rural, back-to-the-earth lifestyle, Gabriola Island has been home to many industries during the course of its history. 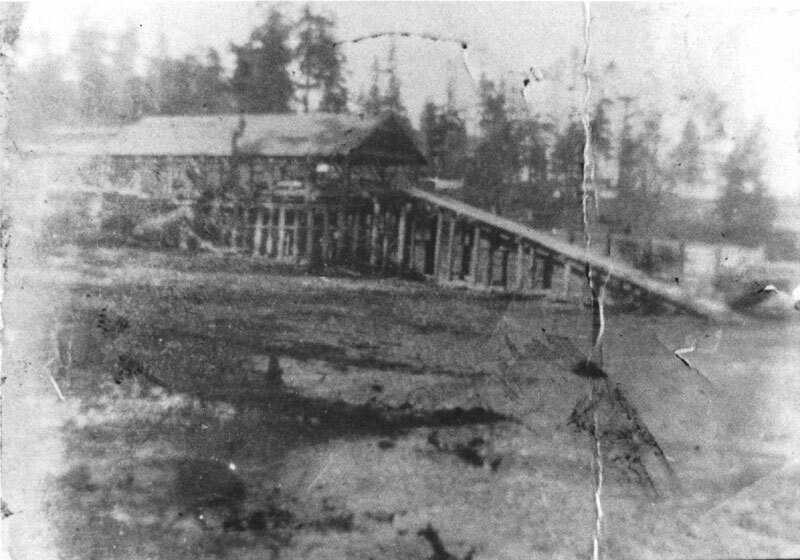 There was a short-lived sawmill at Silva Bay in the 1920s, Gabriola Brickyard operated for over fifty years from the early1900s until 1956, commercial logging took place during the 1900s, a sandstone quarry was active in the late 1800s through the early 1900s, Withey’s Shipyard was a thriving business in the mid-1900s, and postal service has been available since 1884. Below are photos of some of the industries that have provided Gabriolans with employment and opportunities in the past and present. View from the Bay towards the sawmill located in Silva Bay. 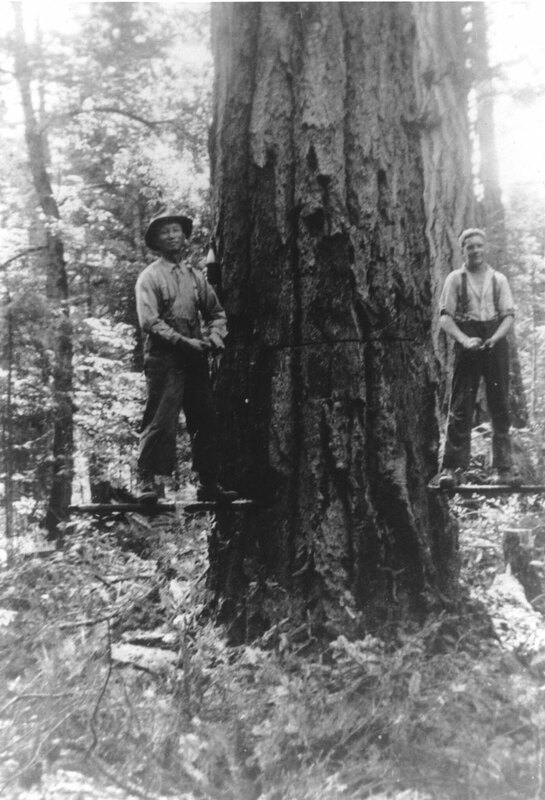 Black and while photo of two men standing on spring boards cutting down a large tree. Writing on back: "Gee who learnt [sic] Tim a lot about logging." Left side is Gee, right side is Tim. 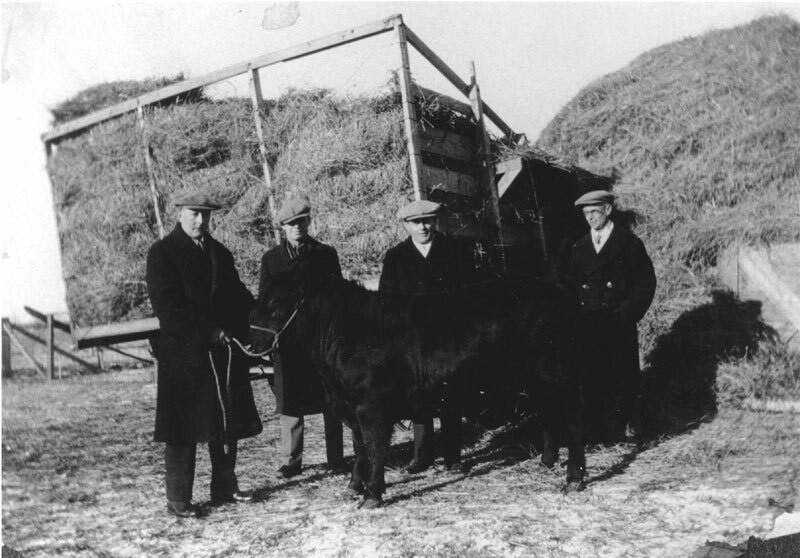 Black and white photo of four men, a hay wagon and a black bull. The four men are standing around the bull and the hay wagon is behind them. 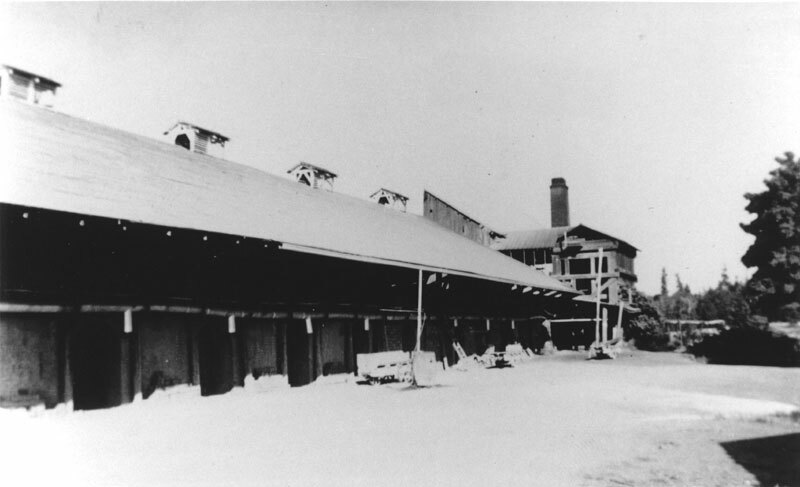 View looking uphill to brickyard buildings. See The Brickyard photo page for more images of the Brickyard.